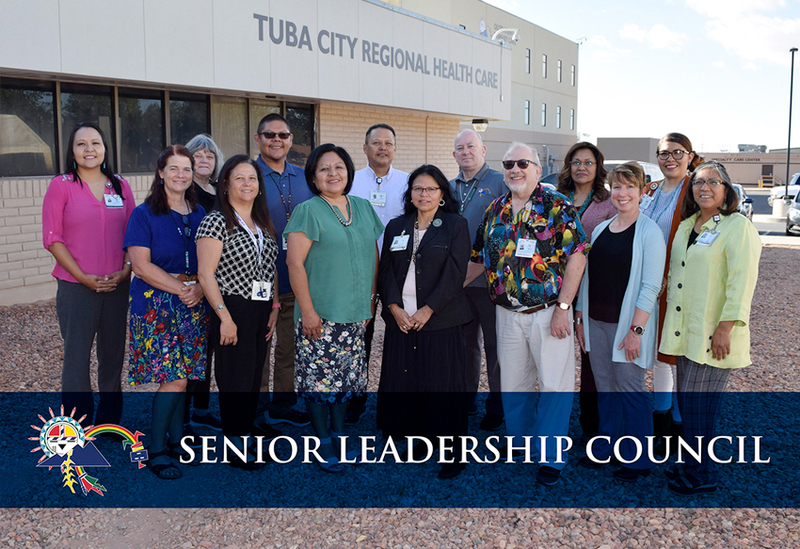 The TCRHCC Senior Leadership Council (SLC) is a body comprised of TCRHCC Administration and Leaders of the hospital’s Health Care Team, which includes Medical Staff, Nursing and other health leaders who, together, care for TCRHCC patients. The SLC shall serve as an advisor to the CEO for the purpose of furthering the mission and vision of TCHRCC and to provide input and assistance to the Board of Directors as set forth in the Bylaws of TCHRCC. The SLC serves hospital Administration and the Board of Directors for the enhancement of the organization and to accomplish TCHRCC goals. © 2019 Tuba City Regional Heath Care Corporation. All content on this site is copyrighted by Tuba City Regional Heath Care Corporation. No content may be reproduced for commercial use or distribution without the written authorization of Tuba City Regional Heath Care Corporation.